Forgive me. I've been a ridiculously useless blogger these days as life takes over. My camera doesn't seem to be liking me right now either with a alleged "technical issues" including battery issues and that thing when it dislikes your face. So I haven't taken any of the blog photos for a million posts I actually want to be writing up right now. 'My Best Hot Chocolate' - I remember writing this clear as day. I had a strong craving for one of my favourite ever hot chocolates still to this day and I simply decided to write about how good it was and reminiscing about it. That was a good post, and a good hot chocolate. Maybe I should blog like that more. I miss it ♥ My First 'What Cat Wore' - Not titled What Cat Wore, but it is the very first of many outfit posts! I love this one because it opened a new door for my little internet space. My first and only DIY post! 'DIY Union Jack Wooden Chair' - Many of my favourite posts are my first of things... This being my only DIY post because I don't feel skilled enough to share more of my DIYs in case they're crap. But this one I'm super proud of because I still have that chair and plan on fixing it up as it's got a little worn out since then. 'Wild Cat Ombre' - One of my first hair dying experiences I posted has actually been my most popular post. I loved that this helped so many deciding to ombre, and I loved this look... I just wished it looked better than it actually did. 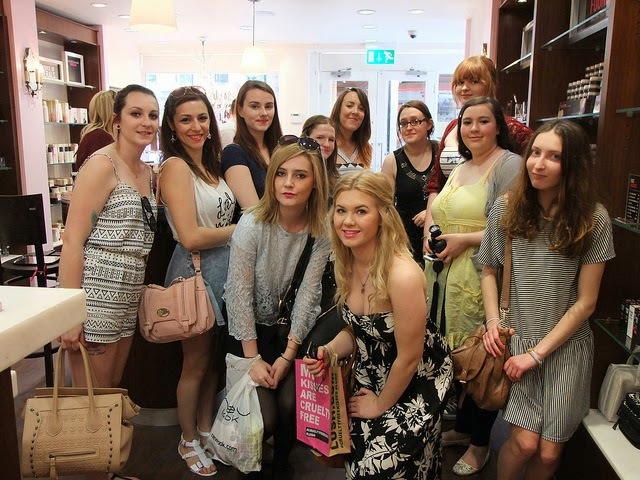 VoucherCodes Blogger Swap Shop - The first swap shop was such an amazing event to attend and I love looking back at both the events. It was my first event (another first I know) and I enjoyed meeting so many new people. I love this post along with my Swap Shop Haul because I got to share how I experienced it with everyone who went and all my readers! WCW: Penguins Of The World - I don't know why but I remember taking these photos and really enjoying this photo taking session! It was around the time the sun started to come out and I'd got quite confident with sharing my styling at this point. I remember feeling really happy and proud of myself for being so active in my blogging. Plus I love this tee so much. And I had red hair. I hope this post is as enjoyable to you as it was for me to write up! I love looking back at all my favourite posts and why because it's like an online diary of my adventures and journey. It'd be lovely to see some lovely comments on those posts and here letting me know which ones you liked the most. It's all from the last 5 years (whaaaaaaat!?) and it's been great looking back especially so close to my 5 year blogging anniversary! ♥ enjoy! What Cat Wore | Wanna Be Happy?